View of Santa Fe Opera and surrounding countryside of New Mexico. 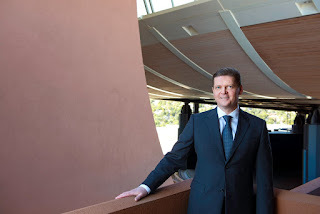 The times they are a changin’ at the Santa Fe Opera. 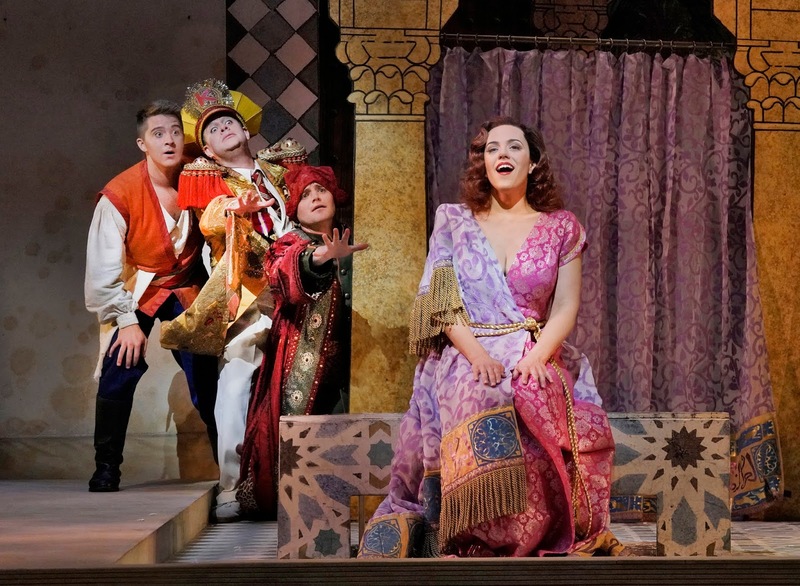 The tradition-loving, improbable operatic success story that John Crosby founded in the middle of a musical nowhere in 1956 completes its 62nd season this month, its 10th and last under General Director Charles MacKay. Incoming General Director Robert K. Meya has announced a management restructuring, commencing with his upcoming October 1 appointment, jocularly characterizing it “triumvirate.” In addition to his own high-level position, Meya will add two others: Music Director, to be filled by current Chief Conductor Harry Bicket; and Artistic Director, to be filled by Alexander Neef. General Director Designate Robert K. Meya. Both appointments allow their occupants to maintain current jobs elsewhere, Bicket as Artistic Director of the London-based English Concert, and Neef as General Director of the Canadian Opera Company in Toronto. 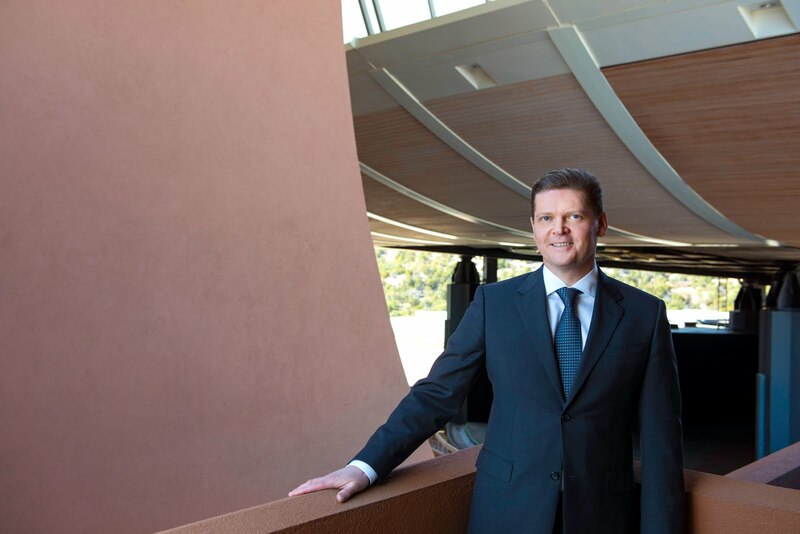 The joint responsibilities suggest that remote managements of their Santa Fe jobs would apply for most of the year, with a shift to on-site management at Santa Fe for three months to prepare and run the summer season. In between, meetings here and there will fill out management requirements. With their day jobs in, respectively, New Mexico, Canada, and the United Kingdom, these busy managers will rack up a lot of airline miles. Those who follow history may feel their throats tighten when the term “triumvirate” is mentioned. Who will forget how Caesar Octavian, Mark Antony, and Marcus Lepidus carved up the Roman Republic for their own empire? It ended, shall we say, badly. But in this new age of instant communications by email and twitter, what could possibly go wrong? All kidding aside, the configuration makes a lot of sense. Each position’s role is clearly defined to maximize skill-sets and minimize distractions and conflicts. Two of the incumbents are already well-known in Santa Fe. 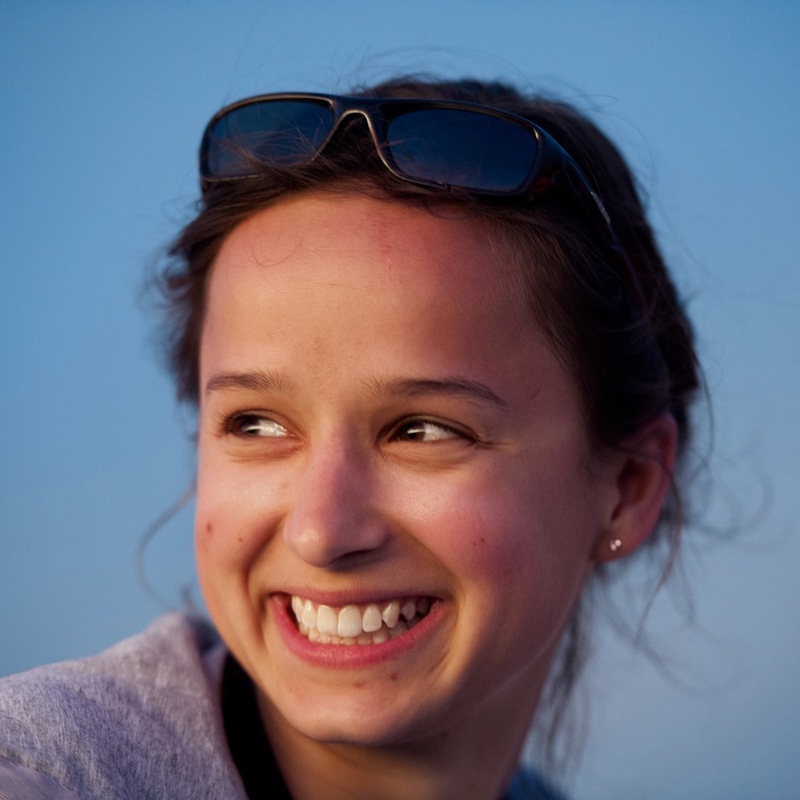 Meya has been an employee for some years with excellent community ties as Director of External Affairs (read fundraising). With the company’s historically careful and stable management structure, Meya will be only the fourth General Director in its history. 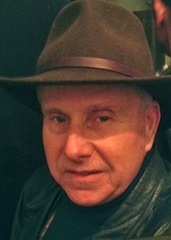 Music Director Designate Harry Bicket. Bicket, who has conducted here since his debut in 2004, has proved himself capable both as conductor and, since his appointment as Chief Conductor in 2013, supervisor of the musical staff. A Baroque specialist, he has worked with both traditional and avant-garde directors. I found his work on last year's postmodern production of Handel's Alcina both stylish and spirited. And I was equally impressed with his idiomatic handling of Bernstein's music in this year's Candide. 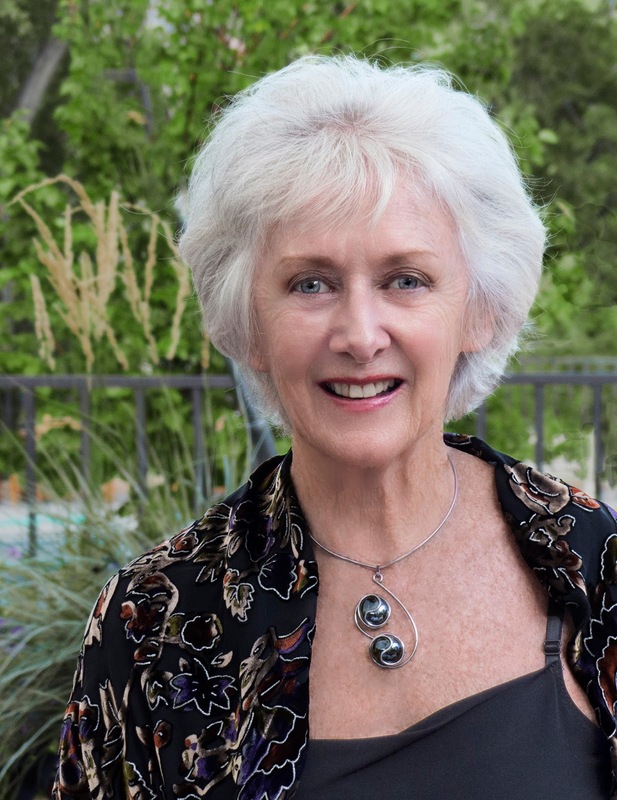 LA Opus contributor Desirée Mays interviewed Bicket last season on a wide range of musical issues, including performance practices in Baroque opera. 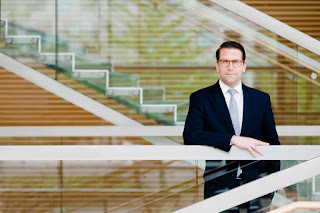 Artistic Director Designate Alexander Neef. The less-known factor, at least locally, in the new set-up is the appointment of Neef, whose artistic pedigree includes a slate of residencies in Germany’s opera houses, known for their Regietheater productions that sport radical stagings, deconstructionist sets, and anachronistic interpolations. 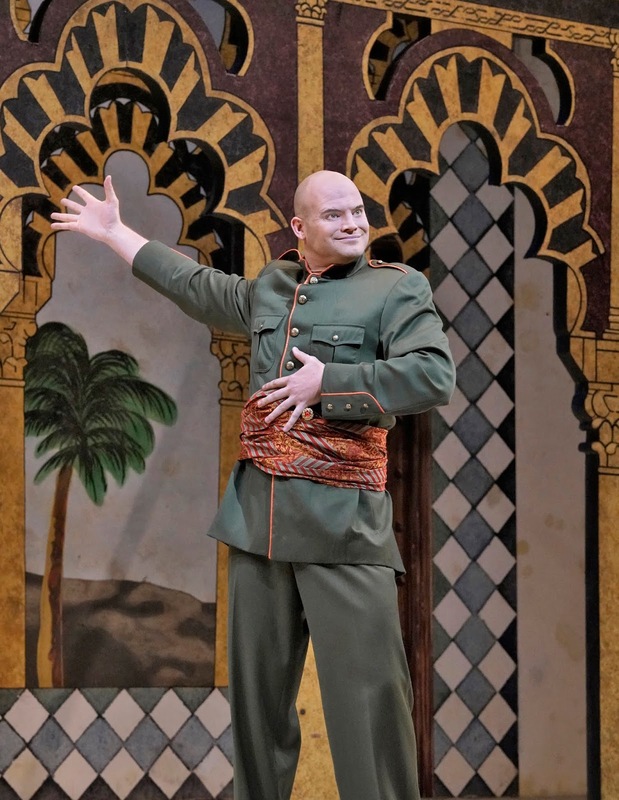 Contemptuously referred to by those not fond of its more radical expressions as "Eurotrash," the style strikes fear in the hearts of traditional opera goers. 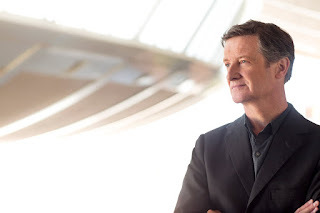 In his position at the Canadian Opera Company, however, Neef has achieved favorable recognition for his productions in the stylistic orbit of North American operatic production. Audiences trend older at the Santa Fe Opera, where many patrons retire in the area primarily for its summer season and other offerings in town, like chamber and choral music. They will tolerate an outlandish opera production (from their point of view) in the occasional mix. David Alden’s 2010 Tales of Hoffman and Peter Sellar’s 2011 Griselda come to mind. But in such instances the grumbles tend to outweigh the huzzahs. Santa Fe audiences do respond favorably to well-crafted productions – whether edgy, traditional, or modernist in style. The same David Alden's fantastical mix-up of imagery in Handel's Alcina at Santa Fe last year was well-received by audiences and critics. And Peter Sellars' work on this year's Doctor Atomic has earned him a solid fan base from many in attendance. The good news for any incoming director at Santa Fe is that quality reigns here, not dogma. I met with Meya between the bustling activities of the current season to get an idea of what lies ahead for the company under his stewardship. He was quick to recognize the unique and cherishable relationship between the artistic leadership at the Santa Fe Opera and its loyal audiences. 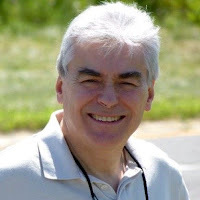 He struck me as thoughtful and deliberate, approaching his role as both steward of a great tradition yet also a leader whose background and training has exposed him to new ideas and practices both at home and abroad. Meya's professional cultivation includes work in Paris and Salzburg with the controversial late opera director-manager Gerald Mortier, who may be most remembered for his avant-garde productions, but who was equally successful as an audience builder. Many of Mortier's ideas have inspired Meya, who recognizes the need to keep opera vital for ever-renewing generations. But he was quick to reassure that, while he respected Mortier's artistic outlook, he is not looking to replicate it in Santa Fe. The balance between traditional and daring will remain much as it has been inherited from John Crosby's initial vision, and the latter's establishment of a five-opera mix each season that takes in new, while respecting older approaches, hopefully with each receiving their due. In terms of repertory, the Opera will continue to pay homage to Richard Strauss, a composer venerated by founder John Crosby. There are also plans for two, possibly three world premiere productions in the near future. Meya sees possibilities for more Wagner and Verdi, twin pillars of the 19th Century's grander operatic traditions, who have not been that well-represented at Santa Fe's Crosby Theatre. To date, the only Wagner work mounted here has been The Flying Dutchman. Verdi has been better served, with Traviata a mainstay, but in general the great Italian has also been under-served here. So, stay tuned. Meanwhile, back at the ranch (the company’s name for its idyllic state-of-the-art campus), there was a show (actually five of them) to put on for summer 2018, and the genial, unflappable Charles MacKay was very much up to his last round-up of the operatic herd at Santa Fe’s better-than-just OK Corral. When this season closes, MacKay will have achieved what many consider an impossible administrative legacy for a performing arts organization, let alone an opera company: every one of his ten seasons has closed the books even on the money, with no deficit. If a single artistic achievement marks the successful decade of MacKay’s leadership, it must be his expansion of the company's repertory and introduction of new works. MacKay brought 26 premieres to the Crosby Theater, five of them world premieres, one an American premiere, and 20 more of them company premieres. He introduced composers as varied from each other as John Adams, Samuel Barber, Mason Bates, Beethoven, Leonard Bernstein, Charles Gounod, Jennifer Higdon, Huang Ruo, Paul Moravec, Theodore Morrison, Rimsky-Korsakov, Lewis Spratlan, Karol Szymanowski, and Antonio Vivaldi. In the last couple years, two of MacKay's premieres tackled Faustian (or perhaps Promethean) quests related to science and technology. In both, interestingly, the advanced scientific-engineering prowess of California’s Bay Area, specifically in San Francisco and Berkeley, played a major role. The 2017 world premiere of (R)evolution, the Mason Bates/Mark Campbell opera based on the turbulent life of Apple inventor Steve Jobs, active in San Francisco and nearby suburbs, chronicled the current century’s expanding capability to communicate and disseminate knowledge at warp-speed. This year, MacKay rounds out his legacy of introducing new work with his long cherished dream to mount Doctor Atomic, the John Adams/Peter Sellars opera that explores the previous century’s development of the atomic bomb. The Manhattan Project was located just 36 driving miles from New Mexico’s capital city of Santa Fe, even a couple of miles closer to the Santa Fe Opera. It's leader, Robert Oppenheimer, and many of its associated scientists worked at the University of California at Berkeley, the same town where composer John Adams lives. It says something about the significance of both the work and its location that MacKay, who will remain a resident of the Santa Fe environs after his retirement, chose this work as his swan-song company premiere. 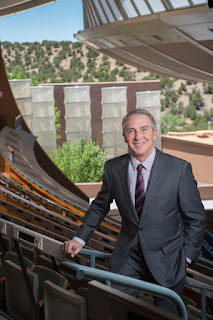 Photos: Overlook of Santa Fe Opera Crosby Theater: © Robert Goodwin; Company staff: © Ken Howard for Santa Fe Opera. Aviatrix Isabella (Daniela Mack) fixes plane while feckless Taddeo (Patrick Carfizzi) frets. Were it not for the frequency of their appearance at Santa Fe, more fuss might be made over two Italians whose works are presented this season. Rossini’s L’Italiana in Algeri, if judged by how often its production has been lent to other companies, is the single biggest hit in the company’s history. 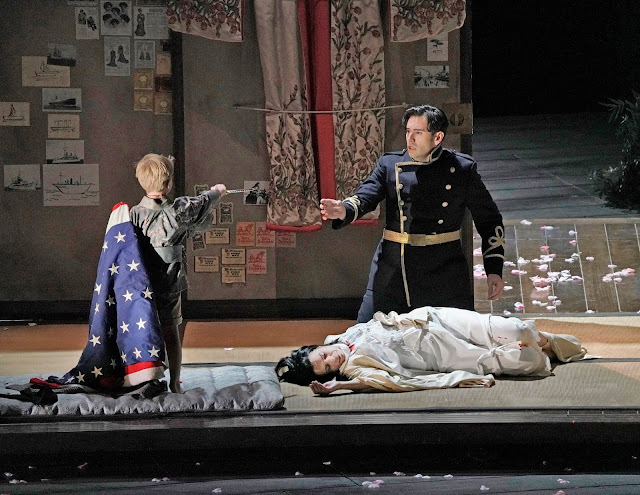 Puccini’s Madama Butterfly, an incontestable masterpiece coming at the very beginning of the 20th Century, capstones the spectacular four-century reign of Italian opera in Western culture. 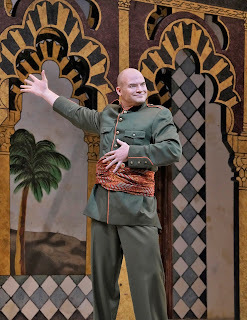 A vain Mustafà (Scott Conner) thinks he's in charge. 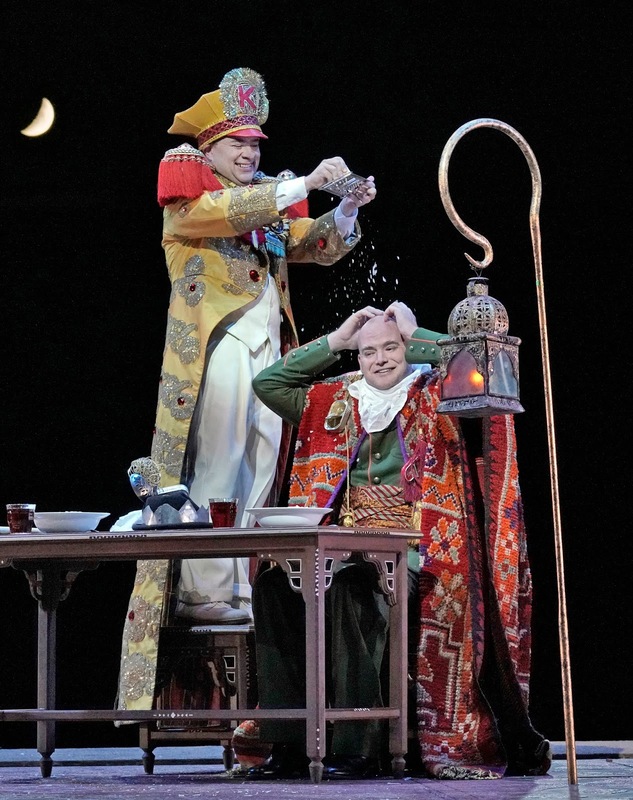 Rossini’s veneration of Mozart is revealed in the “rescue opera” masterpiece with the Italian master deriving plot devices and musical numbers from the Austrian’s Abduction from the Seraglio. Even Rossini's also beloved Joseph Haydn makes referential appearances in the score here and there. The stage-savvy Rossini adds his own twists too, of course: no less than three males are bedazzled by a leading lady, giving his ensembles novelty and complexity; the first act finale is particularly fabulous. Adding contemporary relevance, Rossini’s heroic contralto (here a mezzo) is a proto-feminist who rescues her tenor lover from enforced servitude, not the other way around. Comedic twists and turns have kept bellies quivering for two centuries since the work’s Venice premiere in 1813. The action has tomboy Isabella (comely mezzo Daniela Mack) and her clingy companion and would-be lover, Taddeo (bass-baritone Patrick Carfizzi), coming from Italy to a despotic Algiers to rescue Lindoro (affable tenor Jack Swanson), an Italian lad and favorite slave of the local Bey, Mustafà (bel-canto bass Scott Conner), whose bald and thrust-jawed Mussolini resemblance seems perfectly timed for the current era of proto-fascism. Mustafà is married to the neglected Elvira (dulcet soprano Stacey Geyer), whose lamentations are given comfort by her confidante, Zulma (sympathetic mezzo Suzanne Hendrix). Meanwhile, Corsair captain Haly (virile baritone Craig Verm), stands ready (well, almost) to thwart the Italian lovers’ escape. The evergreen production premiered at Santa Fe in 2002, and though widely travelled to other houses, as mentioned, this is only its second production here at its home base. Originally directed by the late Edward Hastings, his 2017 passing prompted warm remembrances in this year’s program book. Clever staging updates the original 18th century shipwreck to the 1930’s, where Italians Isabella and Taddeo are forced to make an emergency landing of their biplane in the sands outside Algiers. Taddeo cons the vain Mustafà. Director Shawna Lucey has a playful aviator-clad extra introducing the updated device from the first notes of the overture. She walks the aisles of the Crosby Theatre holding a model biplane overhead. Pizzicati bass-viols and an exotic oboe announce the Algerian setting. Robert Innes Hopkins’ open-backed stage has palm trees framing the hills of New Mexico, apt stand-ins for those of Algeria. 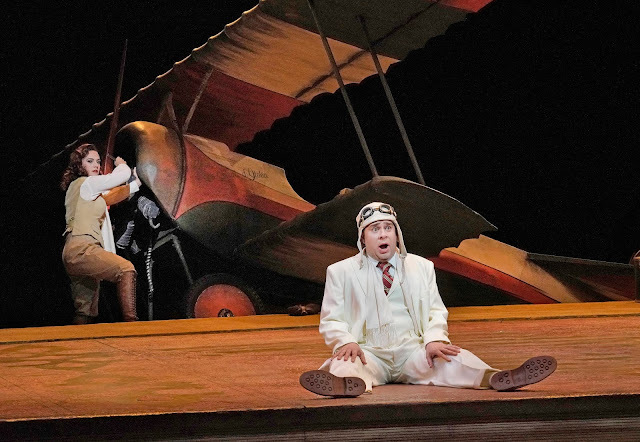 As the overture concludes, the plane “crash-lands” at the back of the stage’s sand-colored floor. 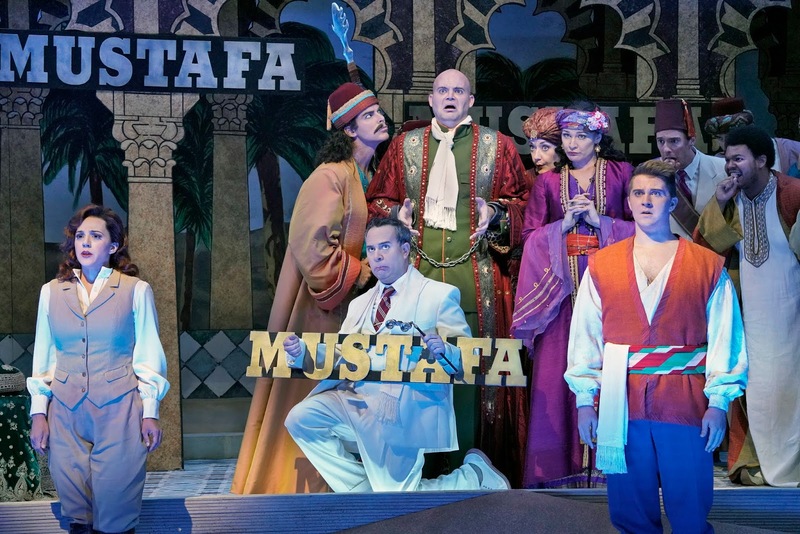 A pop-up set then lifts its hinged floor to open the action inside Mustafa’s extravagant palace -- the brilliant (and efficient) scene change designed by Robert Innes Hopkins. A motley array of courtiers, slaves, and family members are festooned in David C. Woodlard’s over-the-top arabesque costumes, radiating more colors than an ice-cream parlor, and made even more appetizing bathed in Duane Schuler’s Sahara-bright lighting. Susanne Sheston’s hearty male singers importune the audience to put their troubles away and have fun. Isabelle keeps three men panting for her. Clad in khaki-hued Amelia Earhart pants, Isabella soon establishes who’s in charge as she emerges from the disabled plane, quite abled herself to handle both the harem and its tin-pot Bey of Algiers. Mercurial power relationships emerge, with a constant balancing act of her three male suiters, none even a distant match for Isabella’s stratagems. It’s a work of constant action and reaction, with Rossini’s genius for blending melody, harmony, rhythm, and instrumental coloring, as he winds up the comedic tension. Horns announce Mustafa’s lasciviousness. Beguiling woodwinds coo the juvenile Lindoro’s petulant adoration. Rossini engineers a surprising and magical mood shift when the two lovers prepare to return to Italy. Isabella wraps herself in an Italian flag, and even with the interpolation of anachronistic comic Italian stereotypes -- Sofia Loren, chianti wine, pizza, cappuccino, and salami -- an unexpectedly disarming mood of patriotic sentiment ensues. 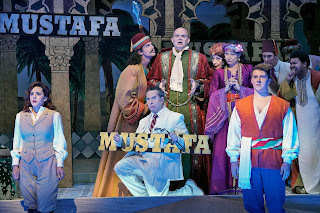 Having discovered Mustafà’s vanity to be an even more potent force than his libido, Isabella, aided by her admirer Taddeo, distracts him with the vacuous honor of “Pappataci” as she escapes with Lindoro in a nearby, conveniently placed, hot-air balloon. In an evening of great theatrical comedy and stylistic singing, Corrado Rovaris's orchestra added its own brand of sparkle and shine. 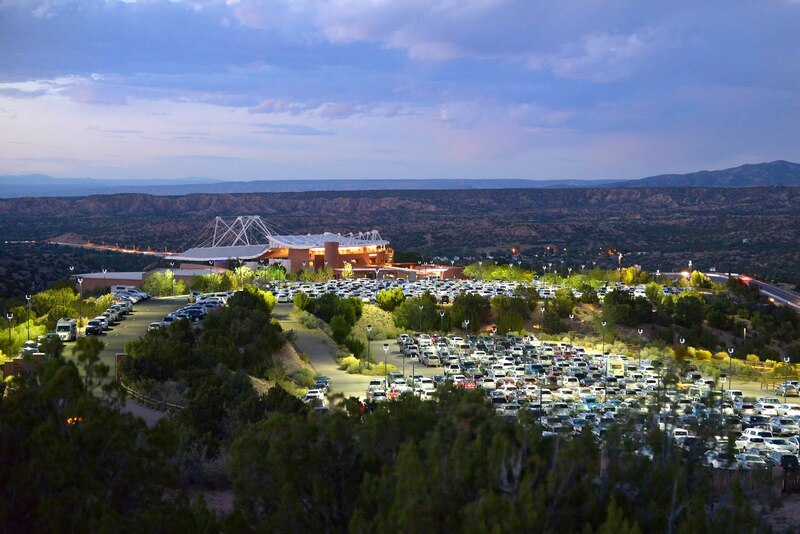 This was the Santa Fe Opera at its absolute best. Cio-Cio-San (Ana Maria Martinez) in her Nagasaki home, with newly installed telephone poles. 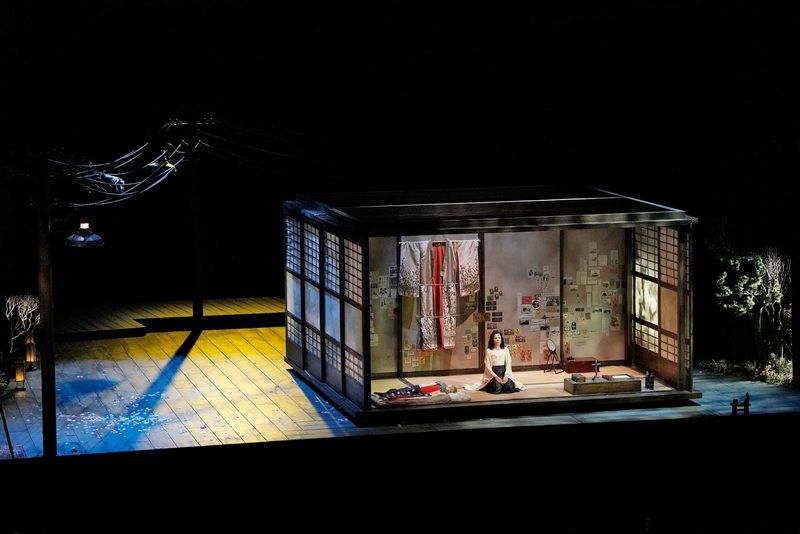 I had seen the original production of the late Lee Blakeley’s Madama Butterfly in 2010. (Blakeley, like Hastings above, was fondly remembered in this year’s SFO program book.) Although not announced in the program notes, the set subtly references the era of American Naval Commodore Perry, whose “gun-boat” diplomacy in a Japanese harbor introduced modernity, along with trade, to the then hermetic country in 1854. At Pinkerton’s arrival in the first act, Japan is still ancient and pristine. When he returns a few years later, the country is festooned with modern telephone poles, whose stark utilitarian ugliness contrasts with the traditional home of Cio-Cio-San nearby. It’s also a jarring visual cue to the distance in cultural backgrounds of the two protagonists. This performance was the first night of the scheduled cast change of the two principals. Joshua Guerrero’s resonant Pinkerton was paired with Ana Maria Martinez’s powerful Cio-Cio-San. While well sung, the few moments this staging had them together left little time for emotional connection. Not helping, the amiable Guerrero’s stocky Mediterranean look, in his ill-fitting uniform, muted his bearing as the preternaturally callous American Naval officer. Walking the fine line between the subdued style of a Japanese lady and the assertiveness of a strong-willed woman willing to break codes, Martinez leaned perhaps a tad heavily on the latter. Her Japanese-ness lacked vulnerability, while Pinkerton's American-ness lacked nonchalant arrogance. Without the visual and behavioral cues of their contrasting characters -- after all that’s the dramatic point of the star-crossed cultural pairing -- the tragedy of their unbridgeable agendas seemed too much like garden-variety incompatibility. Trouble confronts Pinkerton in the final scene. The remaining cast were all strong singer-actors. Nicholas Pallesen, continuing from the earlier casting, made a particularly sympathetic Sharpless. One almost hoped he could later have paired with Butterfly. Megan Marino's Suzuki was a fierce and feisty defender of her mistress. Together, they almost stole the show from their more prominent counterparts. John Fiore's idiomatic reading of the score reinforced in the orchestra the pathos of this immortal work. The final scene had a deft dramatic twist: Trouble (the six-year-old Paulino Rivera-Torres) defiantly picked up the blade with which his mother had just committed suicide and brandished it menacingly at his father, the returning Pinkerton. Performances reviewed: July 25 - L’Italiana in Algeri, July 30 - Madama Butterfly. 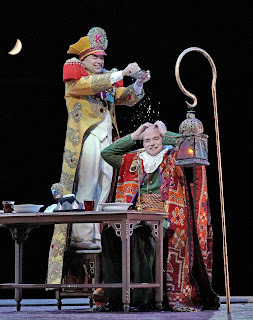 All photos are by Ken Howard, for Santa Fe Opera.